The Mission of WHO is the attainment by all people of the highest possible level of health. The mission of the WHO Country Programme in Tanzania is to promote the attainment of the highest sustainable level of health by all people living in the country, through collaboration with the Government and other partners in health development and the provision of technical and logistic support to country programmes. The Country Office plays a critical advisory role with respect to the development of health policies and strategies, technical guidelines and mechanisms to implement norms and standards. It provides technical policy advice, contributes to sustainable capacity building, strengthens management capacity and provides health leadership by coordinating efforts at the national, regional and district levels. The purpose of this assignment is to provide media and communications support to the activities of the WHO Tanzania Country Office. During the assignment, the officer will have the opportunity to support in the production of communications deliverables, national advocacy campaigns and event management. 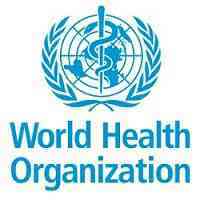 The general terms of reference will be to coordinate consultations, negotiations and discussions with national authorities on policies, strategies, reviews, monitoring and evaluation of various health programmes as will be directed by WHO Representative. University Degree in Medicine (MBBS, MBChB, MD) from recognized institution. Post graduate degree in Public health preferably in epidemiology or other related public health fields.